In his object notes about this second-century Han dynasty tomb lamp, Freer called it "historically important." On his invoice from Yamanaka and Company, from whom he purchased this lamp in 1904, Freer added a note that the vessel was said to have come from the collection of a soldier in Beijing. The vessel is also iconographically interesting in that it bears the motif of a mother and child, traditional Chinese symbols of good luck, future progeny, and family survival. 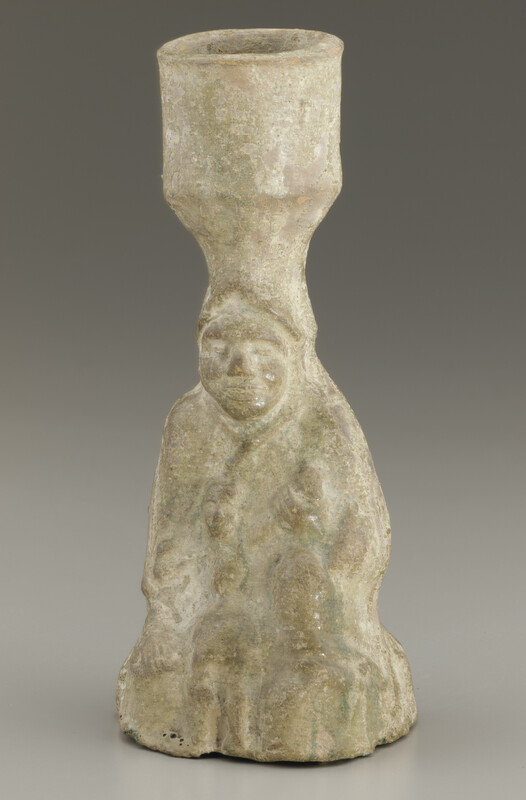 "Tomb lamp in the form of a seated figure holding a child," in The Peacock Room, Freer Gallery of Art, Smithsonian Institution, Accession No. F1904.332, Item #3267, http://www.peacockroom.wayne.edu/items/show/3267 (accessed April 19, 2019).